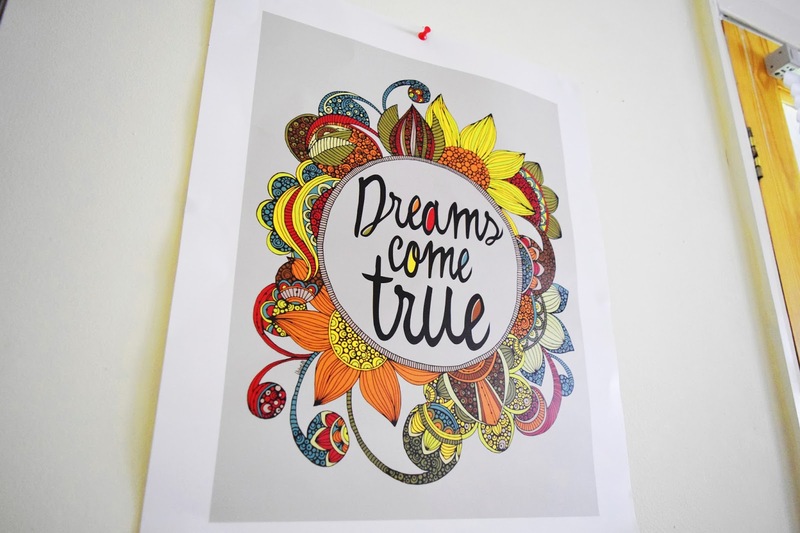 DIY Bedroom Decor for Students! 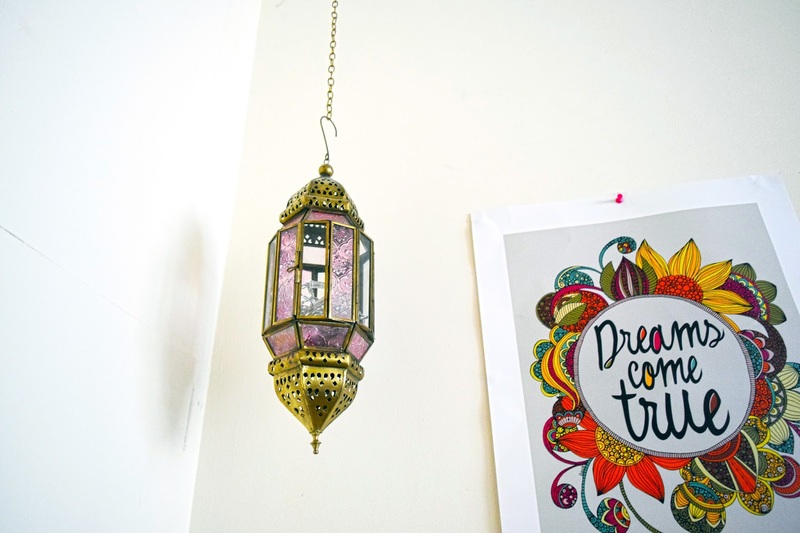 If you're a student like me, whether it be first year in student accommodation or second year in your own home (if you're from the UK), you want to personalise your room with decor on a budget. I've got tips I've learnt along the way to share! First, if you're a makeup hoarder like me you want some cute makeup pots to store your brushes in. These can be really expensive but if you look in the right place you'll find cheap ones that stand out. I wanted bright ones to match my room. The ones above are from BnM and in them they have little glass pebbles that keep the brushes stable. These are also from BnM. 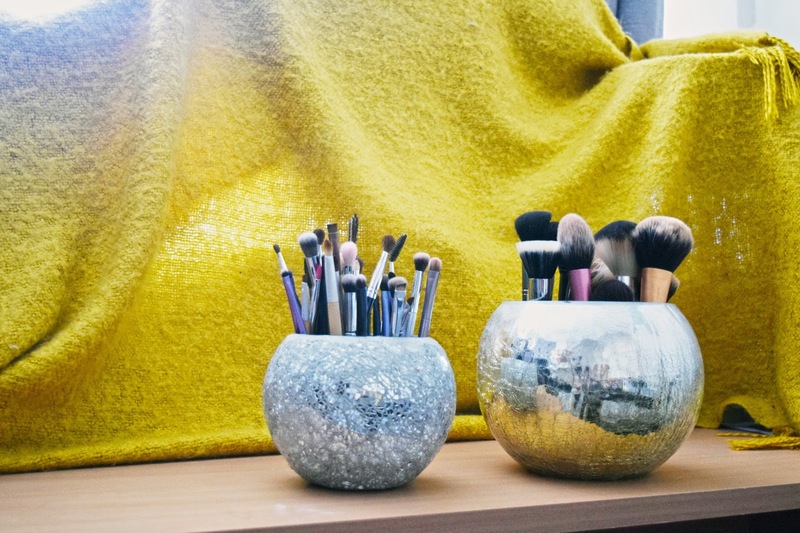 TK Maxx is also a great place for clear acrylic lipstick holders or drawers if you wanted a clear looking set to match whatever your room style is. 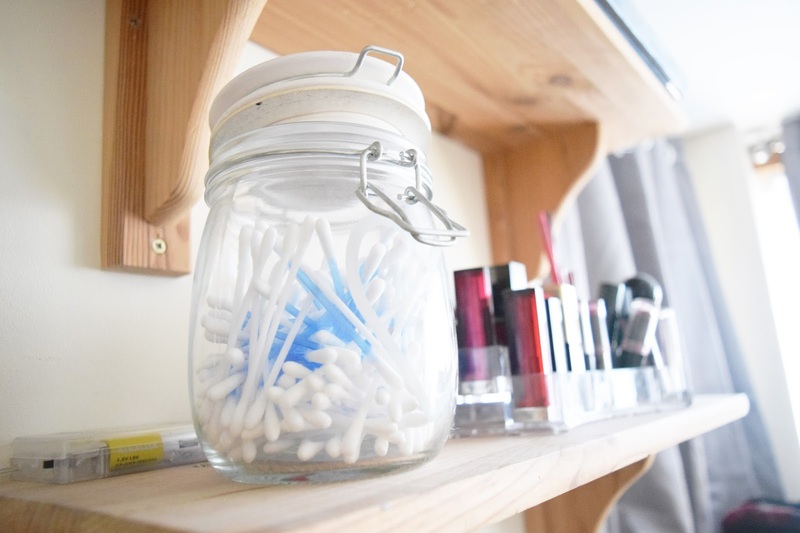 I find Jam Jars are a great place to keep my cotton buds. 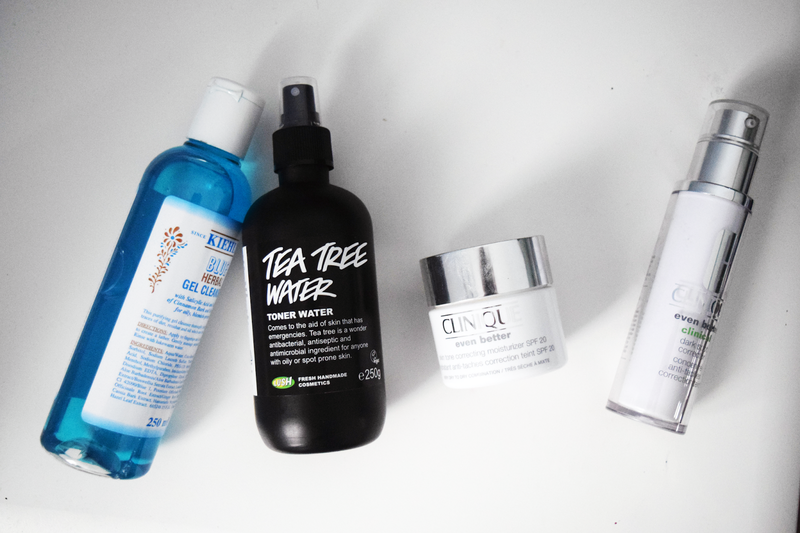 These help clear up the little mistakes that often happen when applying makeup. I got this one with a cute heart on it from Primark! I fell in love with the Moroccan lamp trend, but wanted to do something a bit different. I found this hanging one in TK Maxx and fell in love with the bronze and rose colours. I simply went to BnQ to get the metal to hang it up with and the hanger. I then put fairy lights in them to lighten up the room at night! It's also really cool to put posters up. My uni had a poster fair where I got this from, but you can even find some on Pinterest and go to your local library to print them out if you don't have a printer in your room! These are great way to bring a splash of colour, and your own personal taste to the room. 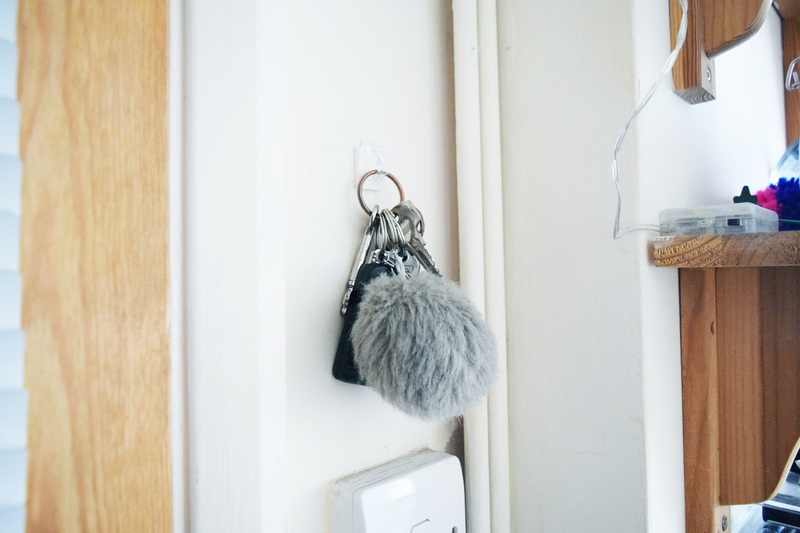 I really love having a place to hang up keys, this way I always know where they are and can grab them on the go. You can find these sticky hooks at your local supermarket! This last tip is the most expensive of the lot but definitely worth it. I grabbed this mirror from TK Maxx for around £80 if I can remember correctly. This opens up the room and you get that added bonus of seeing your outfit in full! TK Maxx give you the option of delivering the mirror to your house if you can't transport it too. I hung Primark fairy lights on it, which matched pretty well! I hope my tips helped out! Decorating your room when you first move out is always exciting and finding a style to suit you is always tough. I would recommend making a mood board on Pinterest and then going shopping to try and match what you've found. 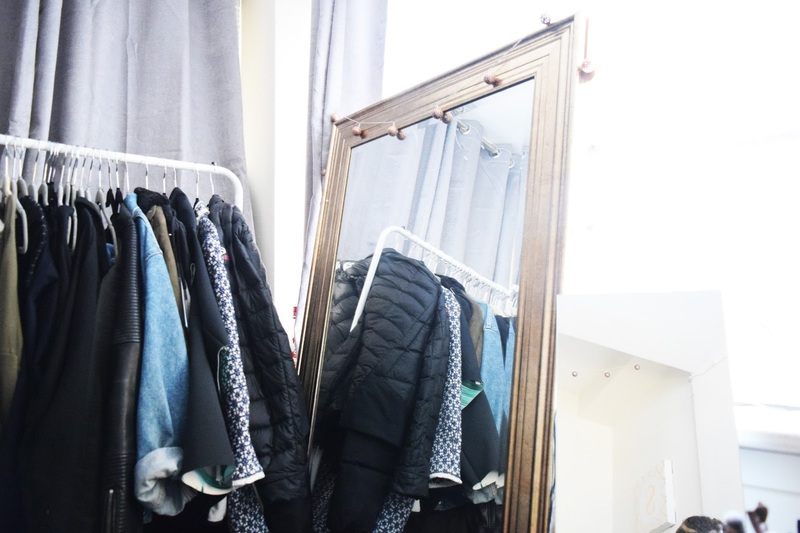 Places like BnM, Tk Maxx and Primark are always a favourite for cheap but cool looking decor!